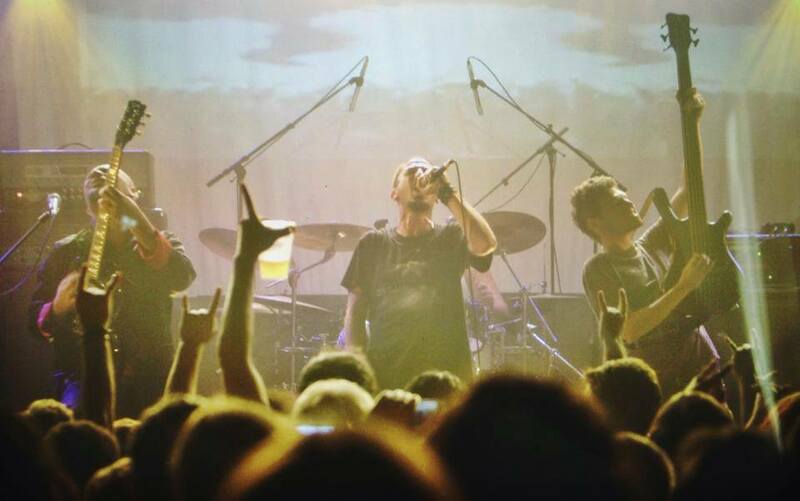 Originating from Akka, Khalas emerged almost more than a decade ago, being one of the first Heavy Metal Bands in the region. They have not only released two Albums but toured with an Israeli band called Orphaned Land together back in 2013. Musiqa Mustaqilla talked with Abed Hathout on playing Heavy Metal Music in Arabic, their roots and touring together with Orphaned Land. The band Khalas (Enough, in Arabic) was established 18 years ago in a small city called Akka which is a Palestine city inside the borders of Israel. Less than 50,000 people live there which makes the music scene in this city equally small. Abed Hathout (Guitar) is currently living in the US working on different projects. Khalas opened the door for musicians and fans alike who listen to this music. 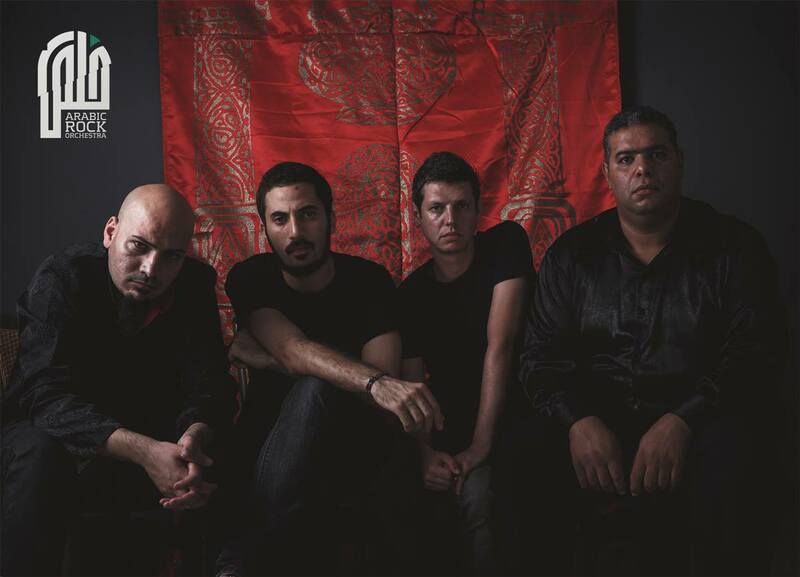 Khalas consists right now of Riyad Sliman (Vocals), Abe Hathout (Guitar), Fadel Qandil (Percussions) and Rooster (Bass). The band members are mostly influenced by Western bands such as Metallica, Guns N’ Roses, AC/DC and other similar bands. Equally, because of the environment they are living in, they are of course also influenced by the regional cultural context they are coming from. On their first album Ma Adesh Feeha (We’ve Had it) released in 2004, the first song was an instrumental reintrepretation of Umm Kulthum’s famous Inta Omri (You are my life). On their second Album Arabic Rock Orchestra Khalas incorporated their cultural roots even more including regional instruments and melodies into their songs. Hathout explained that “In this second album that came out in 2013, we decided to look more into our own roots musically. We looked back to the Arabic music and payed the respect it deserves. We chose famous Arabic Middle Eastern songs and play them as a metal adaptation to reintroduce it to a younger generation.” In this Album they covered songs by Umm Kulthum and Abdel Halim Hafez. They used Gana Al Hawa (Love Has Arrived) of which they used the lyrics and embedded them into Metal music. The melody of Gana al Hawa is still recognizable in the song which connects the cultural tradition of the region with modern music. This development is especially seen from their first to the second album. In the first Album they experimented with sounds and lyrics to see what would work and what not, and in the second Album they refined their techniques. Although rock and metal is slowly emerging in the region as an established genre, hip hop and rap have still a bigger community. The first song on Arabic Rock Orchestra is a collaboration with the DAM group called Min El Share’ (From the Street) which sounds a bit like Rage Against the Machine. DAM is one of the first Palestinian hip hop crews established in the late 1990s. One of their songs called Hini Arfeen (They Know) is such an example. In 2013 they teamed up with a metal band from Israel called Orphaned Land. Hathout has been a fan of the band since the 1990s, and as the community is really small, they started soon to connect with each other and the relationship grew until they became friends and brothers. Hathout recalls the experience to tour with them in 2013. “They have really beautiful souls, touring with them was amazing. As a Palestinian band we would not do that with every Israeli band.” Orphaned Land was special and being connected through friendship and music, they decided to tour together. In 2014 Orphaned Land and Khalas won the Global Metal Award issued by the Metal Hammer Golden Gods. Currently they are working on their third album, which will still acknowledge the roots of the band but this time all original lyrics will adress political and social issues. “This is the guidline for the third Album” says Hathout. The third album is expected to be released by the end of next year.